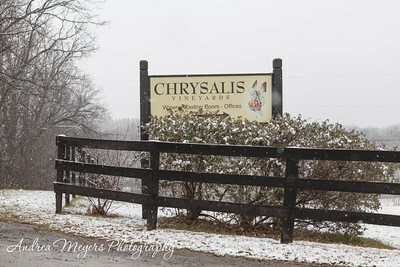 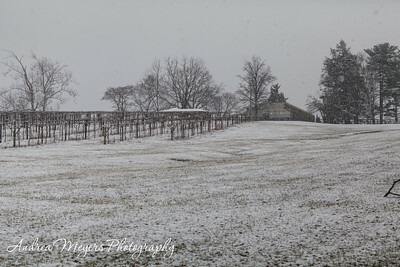 We've had a warm winter with barely any snow to speak of, so waking up to to a cold weekend with snow flurries is a chance to enjoy the beauty of the vineyard in winter. 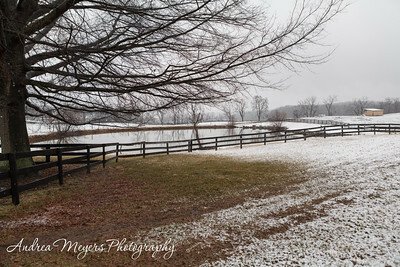 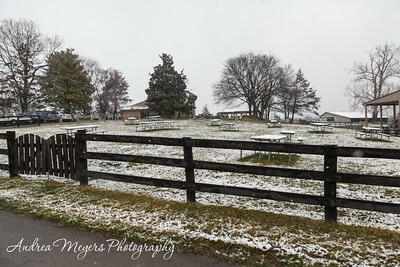 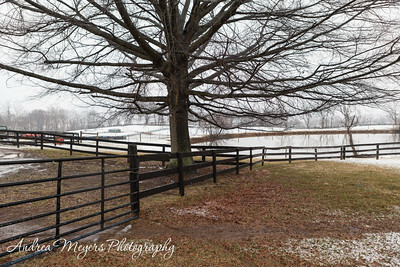 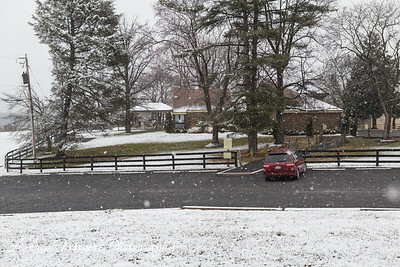 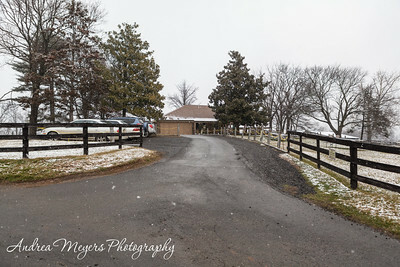 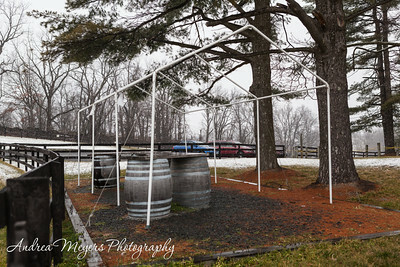 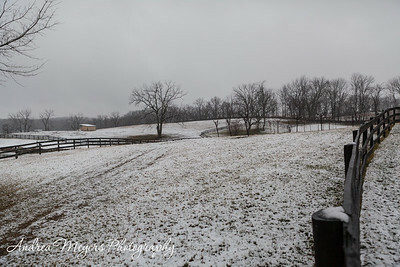 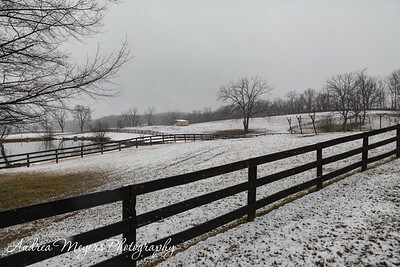 The snow fell softly at first with temperatures hovering in the range between a wet or dry snow, later swirling around me and the camera as the temperatures fell. 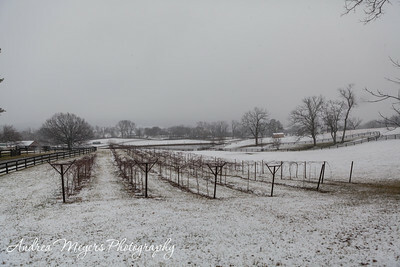 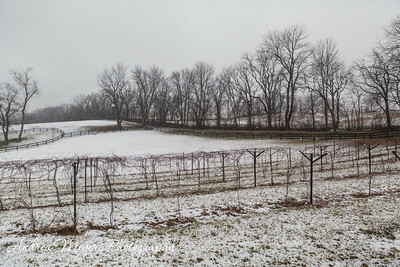 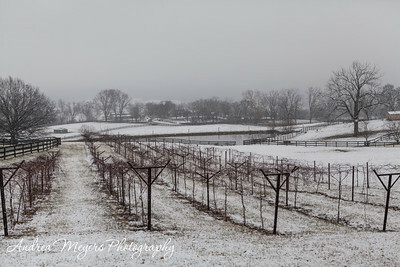 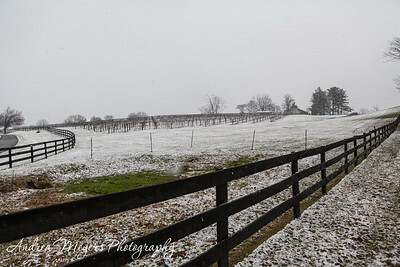 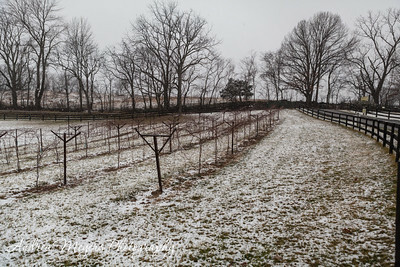 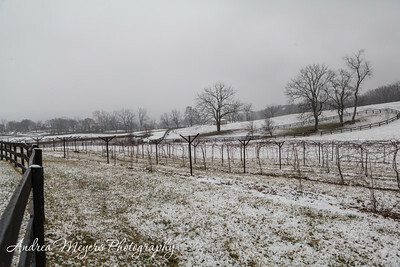 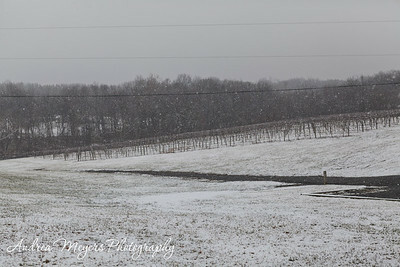 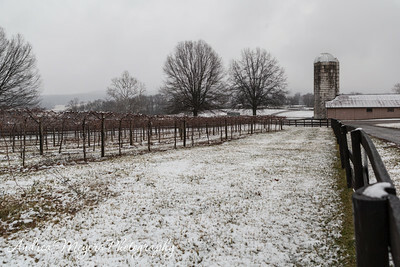 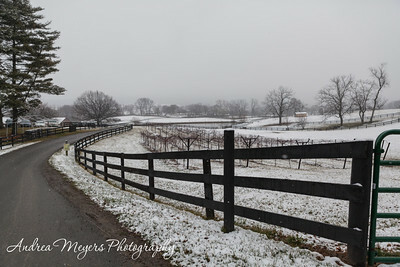 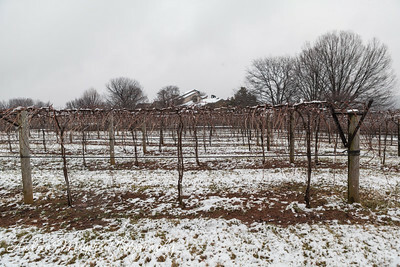 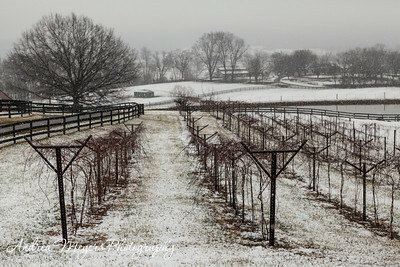 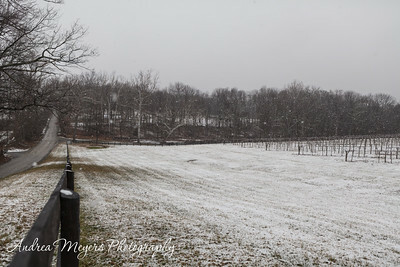 I walked in the snow-covered vineyard, gazing at the pruned canes and the remains of grape stems with flakes of snow and drops of ice water clinging, and thinking about how different the vineyard would look in just two short months. 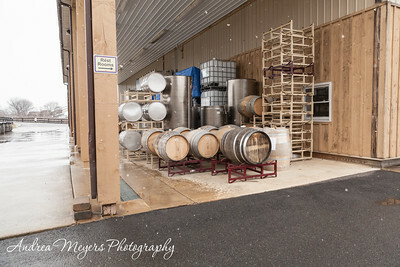 The warmth of the tasting room felt good afterward, and I came home with eggs from the heritage hens that they keep in another part of the estate. 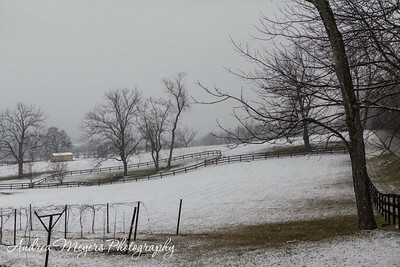 Hopefully I can make photos of the hens the next time.